Our mission is to serve clients in all areas of family law including divorce, child custody, child support, separation, maintenance/alimony, adoptions, domestic violence, prenuptial and postnuptial agreements, and more. We are conveniently located in downtown Lexington, KY near the Circuit Courthouse. We seek to resolve cases in an efficient and cost-effective manner while providing a caring, personal, and detailed approach to ensure that the law is applied fairly to your case. Contact us today to set up your consultation and see if our firm is the right fit for you. Our law firm is focused on cases involving family law and the issues surrounding divorce and separation. 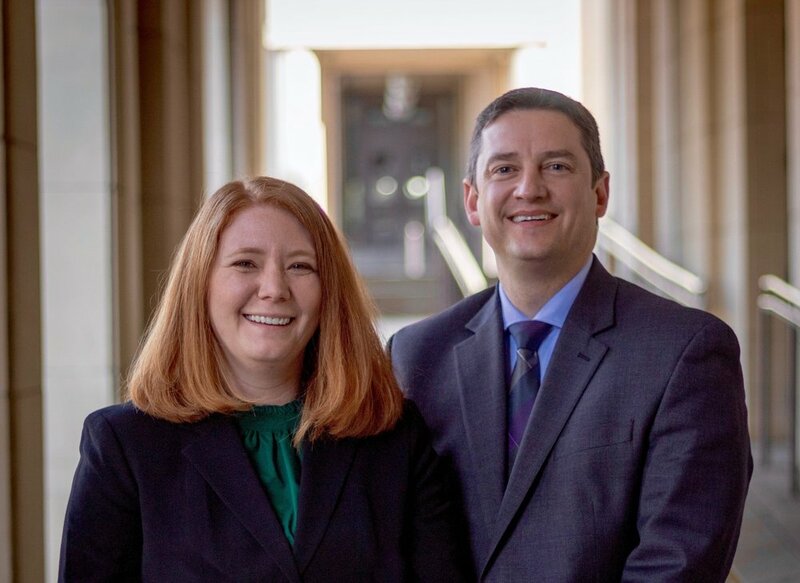 Attorneys Carl Devine and Anna Dominick have over 30 years of combined experience practicing family law in Lexington, KY and surrounding counties. We will put that experience to work for you, helping you throughout the legal process and making sure you understand what is happening in your case while practicing with honesty and integrity. When you need someone to advocate for you in front of the court or across the table in mediation, it is crucial that your attorney understands your options and knows what to expect. By focusing their practice on family law and divorce, Carl and Anna have developed a deep understanding not only of the law but also of the delicate interpersonal dynamics at play when it comes to family and those closest to you. This can make the difference between a bitter, contentious, and expensive separation, or one that is more amicable and collaborative leading to better outcomes for all parties. Legal matters can at times be confusing and move quickly, but you can rest easy knowing we are with you every step of the way. Nothing is more personal to you than your family. We understand this and take a caring, respectful, and personal approach to your case. As a client, our first concern is always on you, the outcome of your case, and how you are treated throughout this difficult process and time of momentous change in your life. We strive to ensure that you are informed and educated regarding how to navigate the legal process. In many cases, the bitterness and uncertainty of litigation can be avoided through mutual agreements and mediated settlements. As we get to know you and the circumstances of your case, we will develop a strategy with you that is most likely to result in the best outcome for you - both now and in the future. Sometimes in a divorce, issues arise that simply can't be resolved through mediation or agreements. When the going gets tough, we get tough right along side you. Litigation is not always the first or best option but if litigation is necessary, we will zealously advocate for you. When it is time to stand up for yourself, we will stand with you in the courtroom and work hard to make sure your side is clearly and strongly presented before the court. While trial outcomes are often unpredictable, we will prepare you for the range of possible results that we have seen in our years of experience and provide our opinions regarding likely outcomes. Make sure that you have someone by your side that you can trust when you need to make your voice heard in court. Exceptional Family Law Attorneys. Focused on Results.